21st Century offers a wide range of products for a healthy lifestyle. From herbal teas to weight management products, 21st Century seeks to provide your body with the nutrients it deserves, be it through vitamins, minerals, or other innovative supplements. By using vegetarian capsules and fine ingredients, you can trust your 21st Century supplement products to work to help you reach a brighter future. At 21st Century, the name says it all- they are focused to providing products that look to be a provider of wellness in the modern age. With FDA-approved manufacturing facilities and strict safety guidelines, you can trust the products have been confirmed in their purity standards. 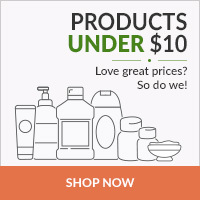 PureFormulas is glad to carry 21st Century supplement products together with low prices and free shipping on all orders.